Your last tenant has left your house in a bad state. There is so much cleaning to do that you don’t know where to start. We have a better solution. Why not engage an end of tenancy cleaning service? End of tenancy cleaning takes the task of cleaning your apartment or office space off your hands. The whole experience becomes stress-free and hassle-free and you are free to concentrate on finding a new tenant. Here is a small checklist of the tasks we cover in end of tenancy cleaning. Dusting fans, light fittings, and switches, wall pictures, radiators, banisters, and spindles. Furniture will be moved and the carpets vacuumed. Floors washed with the proper cleaning liquids. Mattresses will be lifted and space underneath vacuumed. All shelves and drawers will be emptied and waste discarded. Upholstery vacuumed; cushions lifted and space underneath, vacuumed. All window sills wiped and windows cleaned from the inside. Bedroom storage/furniture to be cleaned. Wall tiles wiped down and polished to remove any mold or fungi that might have accumulated. Toilets cleaned and wiped. Toilet seat wiped. Bathroom mirrors wiped with proper cleaning liquid. Bathroom floor sanitized and washed to kill bacteria and other pathogens. Shower fittings, taps, bathtub, basins descaled and polished. All residue shampoo and left over soap discarded. Bathroom floor cleaned and wiped. All work surfaces washed and wiped clean. Sink and taps descaled and wiped. Polish reapplied if needed. Oven cleaned from the inside to remove grease. The exterior of oven wiped and cleaned. Wall tiles behind kitchen counter degreased and polished to remove built-up grime. Refrigerator defrosted to remove food deposits and grime. The external surface of refrigerator polished. Dishwasher washed and cleaned from inside. Drawers and cupboards cleaned. All carrier bags and old food items taken out and discarded. Washing machine wiped clean. Soap drawers cleaned and remaining soap discarded. Kitchen bins washed and cleaned. All kitchen appliances wiped clean, including toaster and kettle. We are happy to say that you don’t have to procure any cleaning material. We will procure them ourselves. 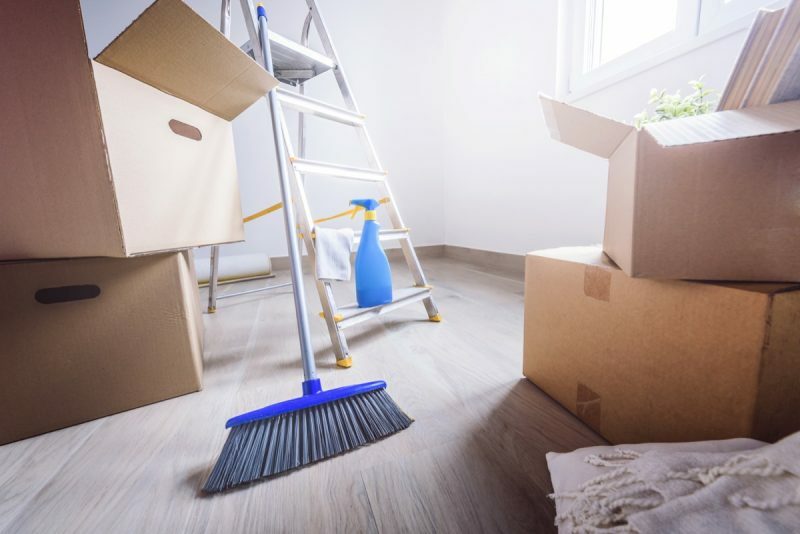 We promise you that after we have completed cleaning your house or office, it will be much better than when there were tenants in the property. We can also work during weekends. No extra charges will be levied. Same day services are also available. To learn more about our end of tenancy cleaning services, please contact us today.